"There is nothing-absolutely nothing-half so much worth doing as simply messing about in boats"
Welcome to our home, our pride and joy, our nightmare, our everything! 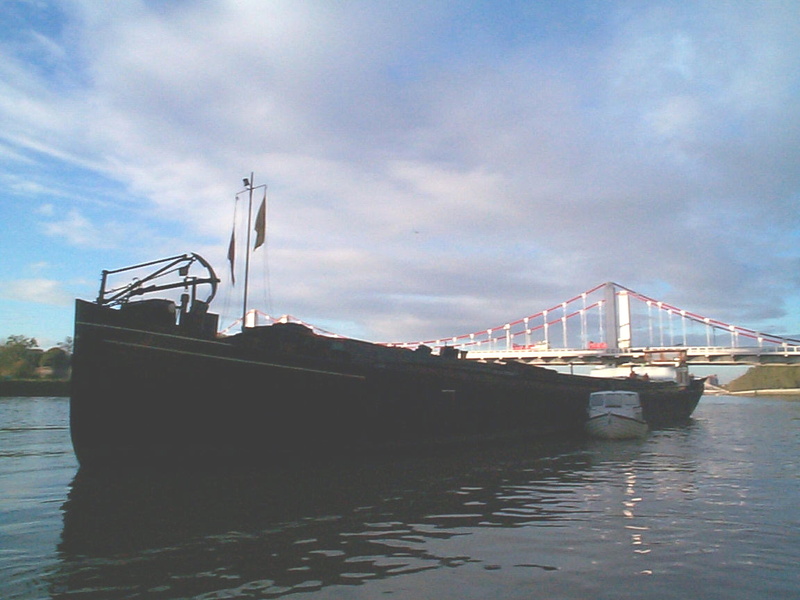 "The Black Pig" on her home mooring between Chelsea Bridge and Grosvenor Bridge on the river Thames in Central London. Originaly named simply 'Vriendschap', 'Morfar's Vriendschap' or 'The black Pig' as we informally call her in honour of that great seafaring legend, Captain Pugwash! The ship is a Rhineaak of Iron construction, built in Breda in 1889 and one of very few vessels of her type and age still afloat today.Her length is 49.8m with a beam of 7.45m. 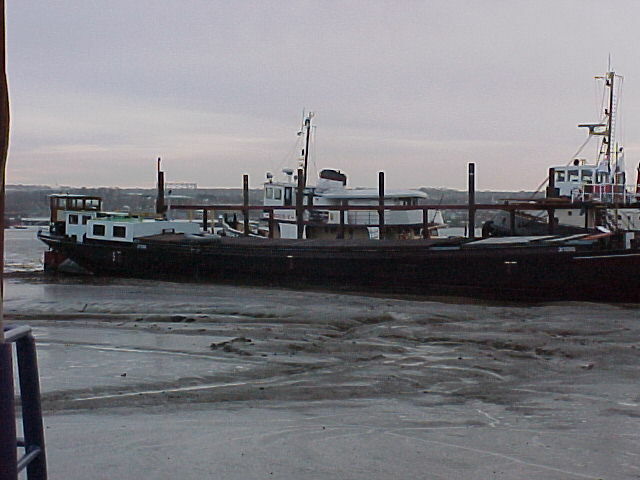 She was built and operated by the Van der Veen family of Amsterdam,father and son until Lammert and the barge retired in 1994. Together, Lammert and Tinnie Van der veen worked 'Vriendschap' for over 50 years, bringing up their son on board in the process. The Van der Veens were from the old school of skippers, owner operators fiercely proud of their traditions, their way of life and their ship. To Lammert and Tinnie Vriendschap was not just a working vessel, she was a part of their lives and their very identity. Lammert having worked her man and boy from the days before his father retired. When we first stepped on board Vriendschap the skipper and his wife welcomed us on board with piping hot mugs of delicious strong coffee and delicate cakes, their hospitality to strangers was a matter of honour and an example of the traditions of a way of life fast disappearing in the Netherlands.